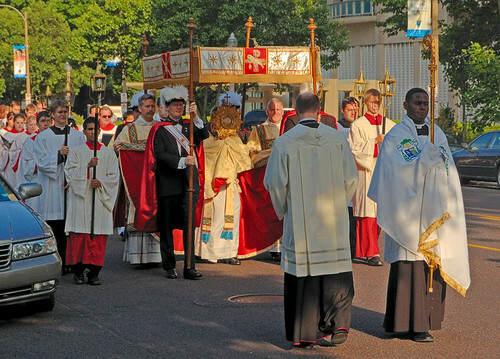 THE GREAT FEAST of Corpus Christi is distinctively marked by a liturgical procession. 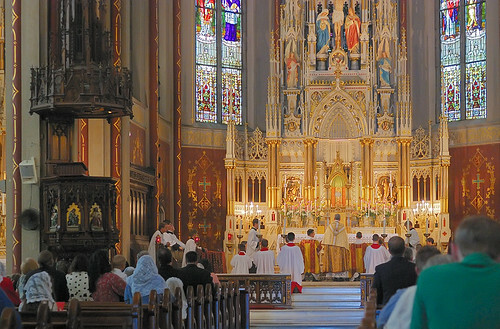 In contradiction to the modern political ideology that ‘religion is a private matter’ the Church in her wisdom makes this feast of the Eucharist a public celebration. Here are photos I took this year on this feast. 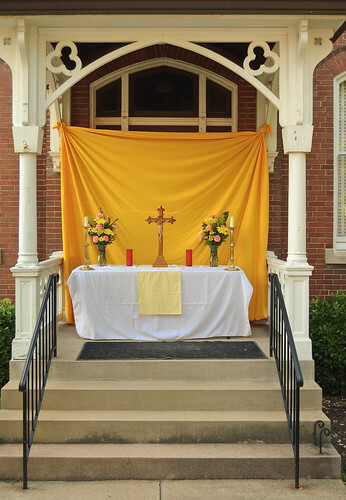 These photos are of somewhat poor quality, and lacking decent audio recording, I cannot represent the hymns, prayers, and litanies sung along these routes. There is nothing like participating yourself! Praise with hymns thy Shepherd true. Such as merits thy great King. 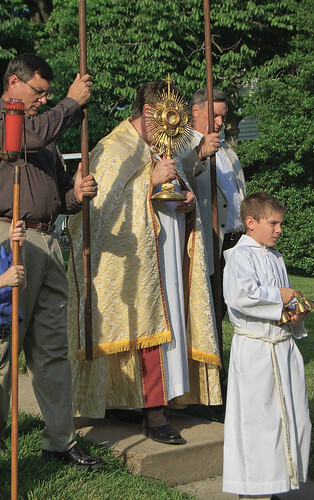 A Knight of Columbus stands guard over the procession. 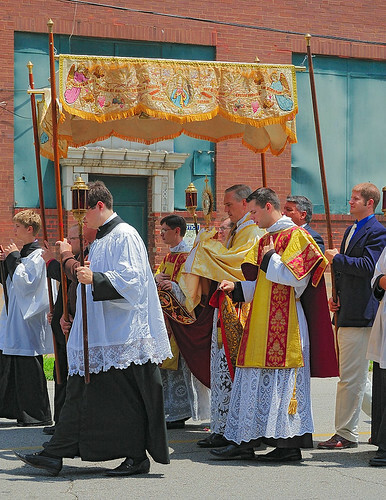 This is one of the few reminders of the old kind of formality found in Catholic culture, where laymen would wear distinctive (and typically colorful) dress for formal religious occasions, where each uniform indicated membership in a particular confraternity, sodality, or guild. The living and life-giving Bread! 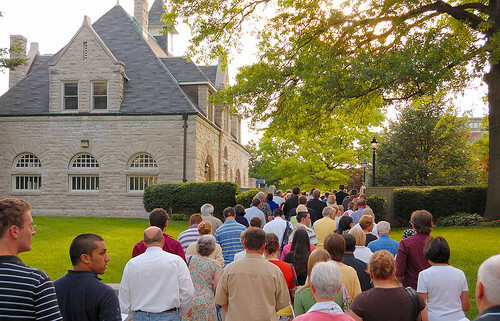 Theme for praise and joy profound! Giv'n to His Apostels round. 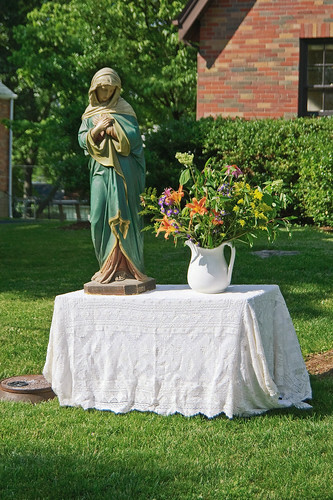 A temporary altar along the route, used for benediction. 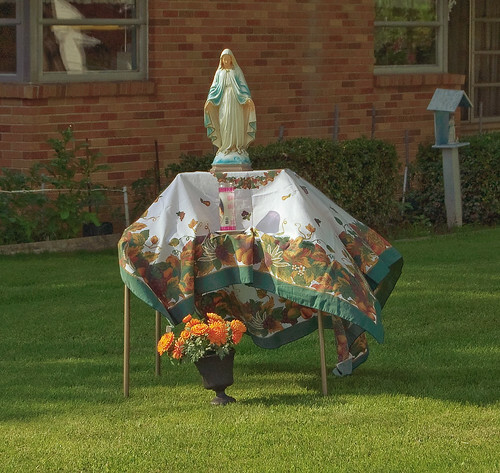 Some homeowners along the procession route installed little shrines in their yards. Brings to end the olden rite. 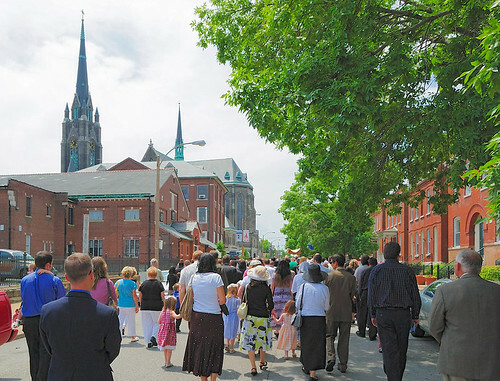 Christ in the City. 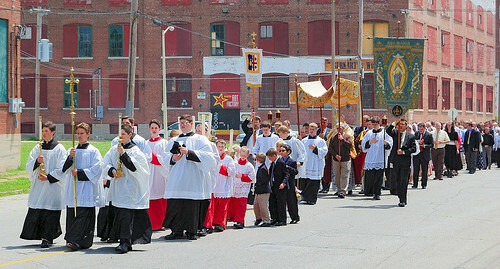 The procession goes through an industrial area. 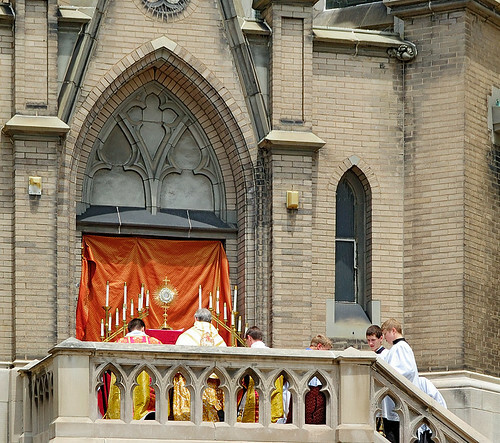 Canon Wiener holds the monstrance, shaded by a baldachin, or canopy. 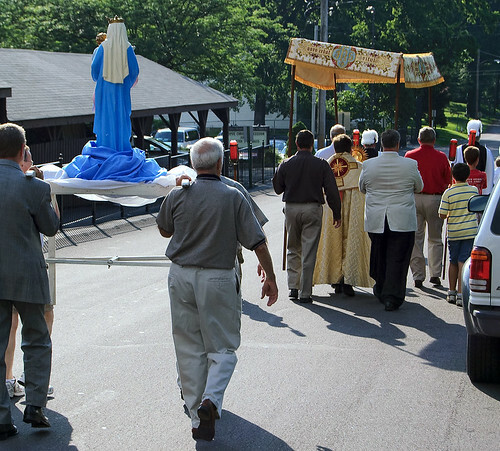 Procession returning to Saint Francis de Sales Oratory. All entire, confessed to be. And the same for evermore. 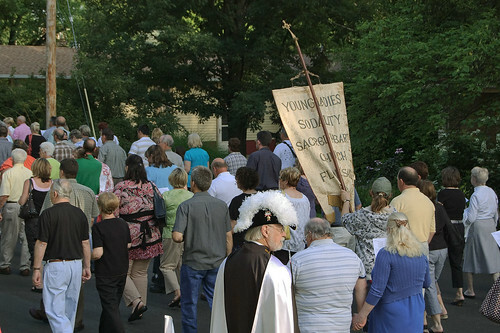 Procession approaches the Archbishop's mansion. 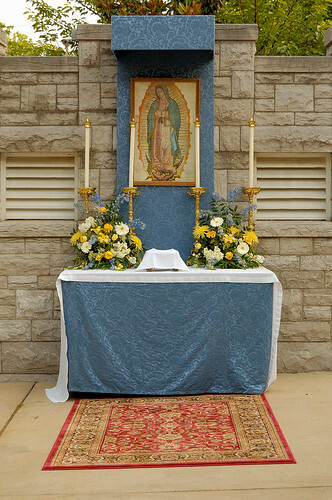 Altar of benediction in honor of the Virgin Mary, under her title of Our Lady of Guadeloupe. 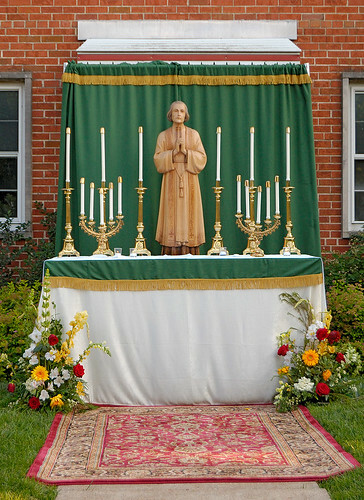 Altar of benediction in honor of Saint John Vianney. 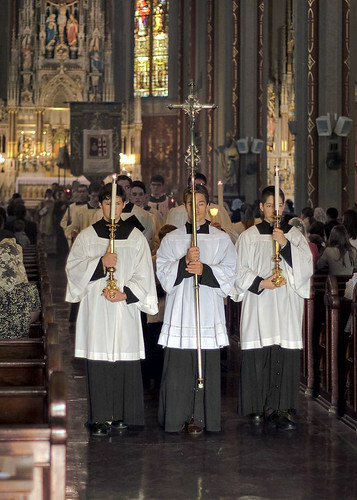 Fill us with celestial grace! 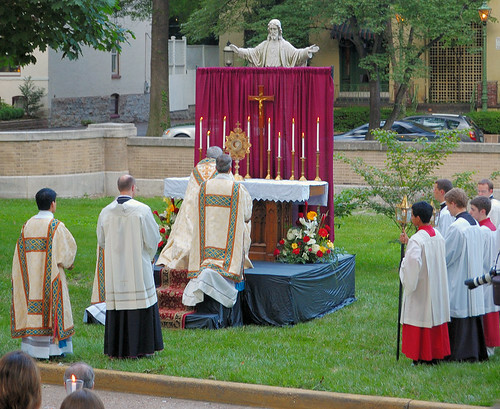 Archbishop Carlson praying before the monstrance, on the Sacred Heart of Jesus altar. 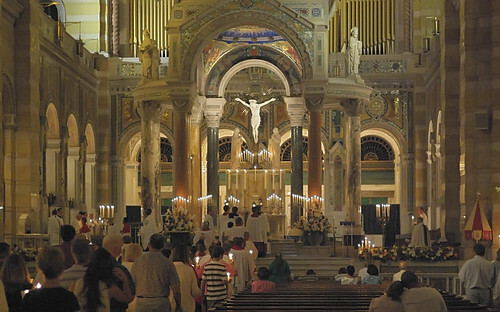 The procession, by candlelight, reenters the Cathedral Basilica. 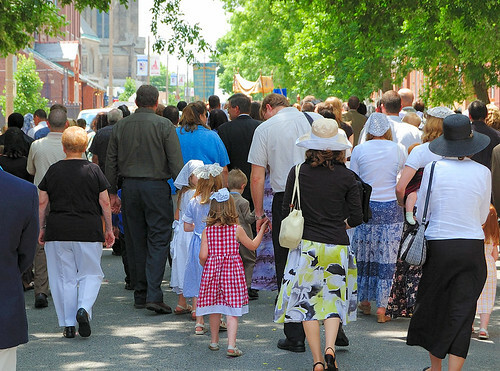 In other times and in other places, the Catholic tradition of public processions is more highly developed; indeed it seems that elaborate processions are found in nearly all cultures throughout history. 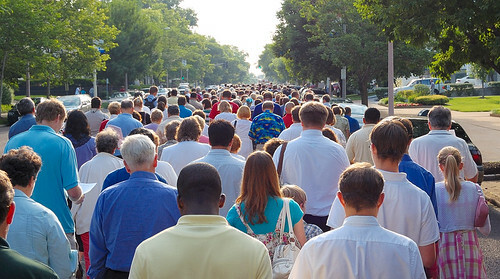 Religious processions were largely banned by the various Protestant denominations, and so public processions in the United States — parades — are secular in character, even notably many Saint Patrick's Day parades. Beautiful! 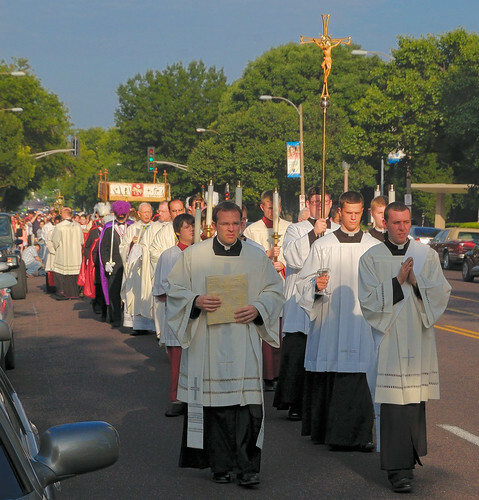 How wonderful to see your new Archbishop leading the flock. 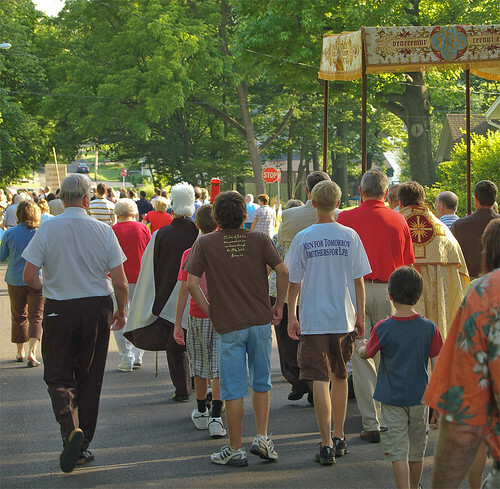 I love Eucharistic processions, bringing Christ out into the streets accompanied by clouds of incense and heavenly chant. 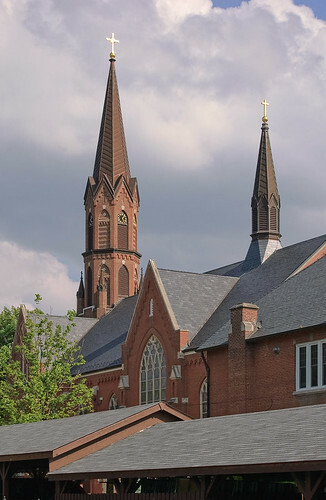 Our parish is in an older neighborhood. 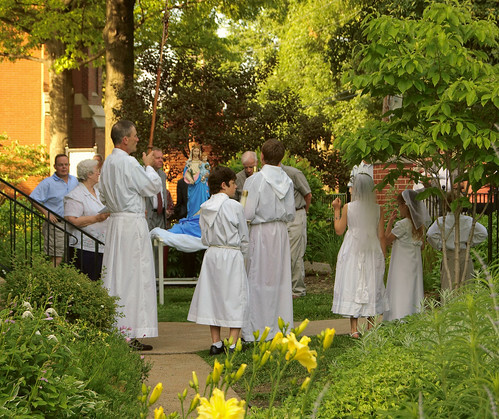 So whenever we have a Eucharistic procession, the neighbors sit in their porches and watch us go by. Some of the kids even join us.